A bowl-shaped depression with very steep sides that forms at the head of a mountain glacier. Forms from cold-climate weathering processes including frost wedging and plucking. :: The highest cliff often is called a headwall. The fourth side is the lip, threshold or sill, the side at which the glacier flowed away from the cirque. 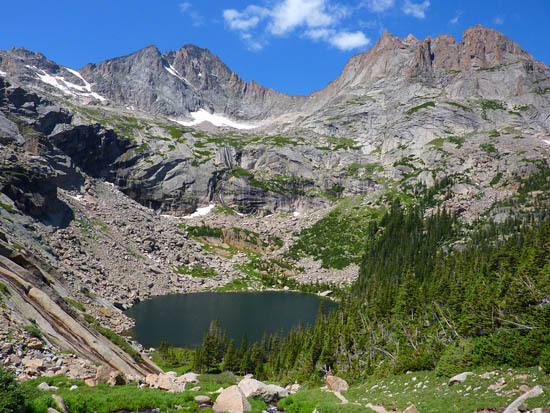 Many glacial cirques contain tarns - a glacial tarn - dammed by either till (debris) or a bedrock threshold.